The Mariago Collective will present a performance piece and closing reception of the exhibition Human Wishes with artist Kenny Lantz. With Human Wishes, Lantz creates an environment of potentiality embodied in wishes via wishbones, cupcake candles, et cetera. 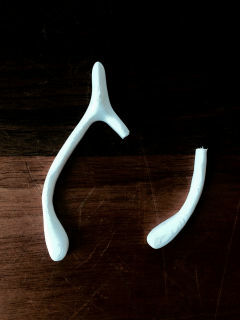 At this event you can make a wish with the artist by breaking 3D printed wishbones. Be a part of the transformation from potential wishes to spent wishes.